I finally finished a crocheting project!! 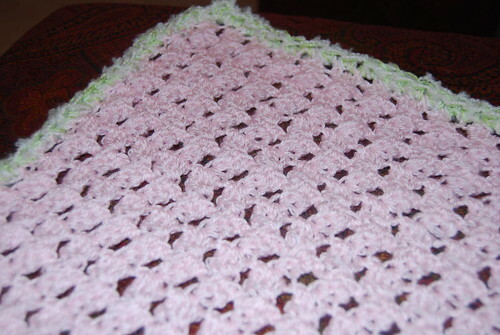 This is a tiny baby blankie with a pink inside and a light green and cream border. In other news: HAPPY BIRTHDAY, JESS!! !